Japhy Ross mwenye umri wa miaka 24 na Anthy Nane miaka 23, ni wakazi wa Mwanza. Kama vijana wengine wengi hapa Tanzania, wanapenda sanaa ya mziki na wana malengo ya kufanya mziki kama ajira. Katika harakati zao za kutaka kujiendeleza, waliamua kujiunga na kufanya rekodi yao ya kwanza pamoja, baada ya producer Chuma Nice Flavour kuwapa ofa ya kurekodi wimbo mmoja. Kutoka Pango Records, tunawaletea wasanii chipukizi Japhy Ross x Anthy Nane na wimbo Angejua. Ku-Download Angejua kutoka Mkito.com, Bofya hapa! 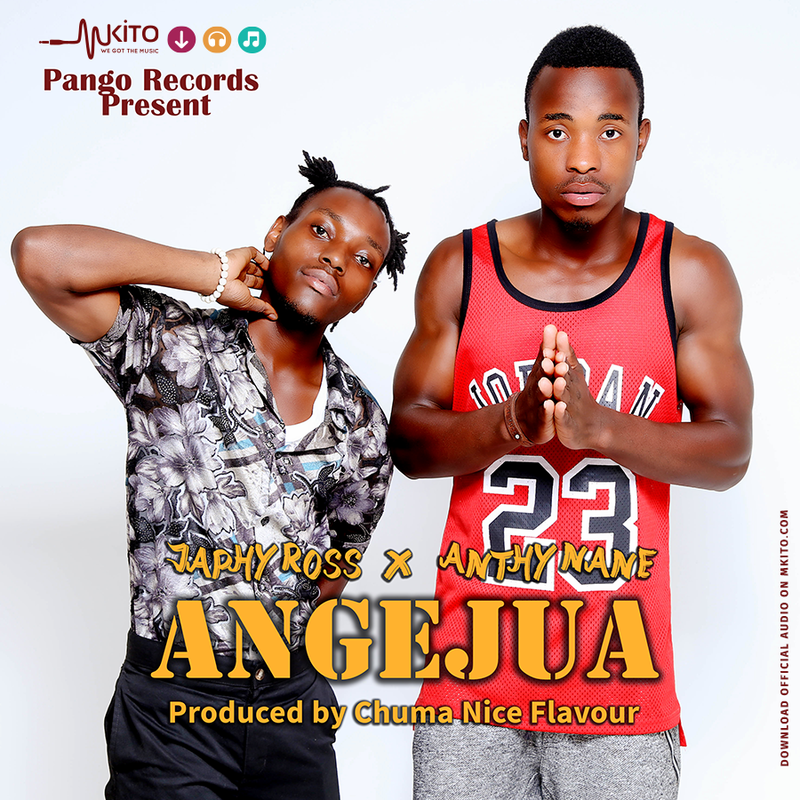 Kuangalia video ya Msanii Japhy Ross "Angejua"
Kabla na Baada ya Mazoezi ya Sauti kwa Joett, Bofya hapa! 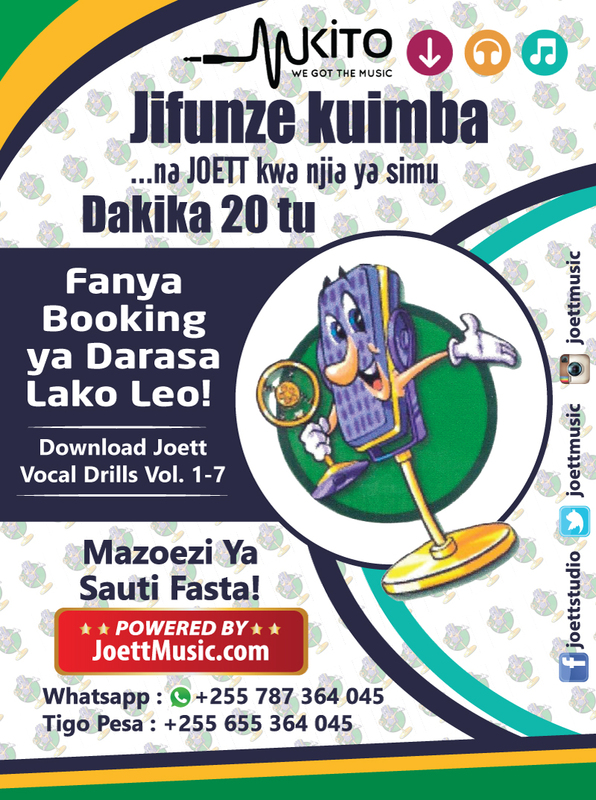 Ku-Download Joett Vocal Drills Vol. 1-7 Bofya hapa! You may have oftentimes wondered what your vocal range really is, or perhaps live in fear of attempting to sing certain notes because you simply feel that you cannot get there even if you tried. Whatever your misconceptions or insecurities, don’t allow any of that to dampen your resolve. Nothing is unachievable when you put your mind to it, and when you get specific training to help build your vocal range to something quite remarkable. And so before you begin to ask yourself too many questions, take a step back to look on the bright side. This article will aim to demystify what you may perceive to be the limits of your vocal range. The common assumption in singing that the voice does not move smoothly and evenly from the lowest note to the highest, is just that—an assumption. You’ve probably experience a feeling that within your singing range, some areas operate differently than other regions. These areas are often referred to as “registers” of the voice. They basically sit adjacent to each other when laid out on a piano and will have a transition point located where we move from one register to the next. As for how many registers a voice has, there is no consensus, and nor is there a consensus on what to call them. Most of us will have heard of the simple division into “chest voice” and “head voice,” with a section in-between called “middle voice” oftentimes referred to as the “mix voice”. Some industry professionals prefer a more expansive model that divides the voice into six ranges: extreme low, low, middle, high, very high and extreme high. But there is what is termed our singing range, namely the range which is neither extreme low nor extreme high, give or take the limitations of gender, male or female in both extremes. Extreme registers therefore are characterized by, a) the inability to sing (whistle is not singing! ), and b) the inability to articulate words. As such, they are part of our full vocal range, but not part of our singing range. Having said that, registers for both male and female are divided up in areas called “passaggios” or “bridges”. In these specific areas, in all likelihood, you sense discomfort or a buildup of tension and pressure, requiring a change in singing posture. Proper vocal technique, however, allows us to eventually navigate these passages with ease. 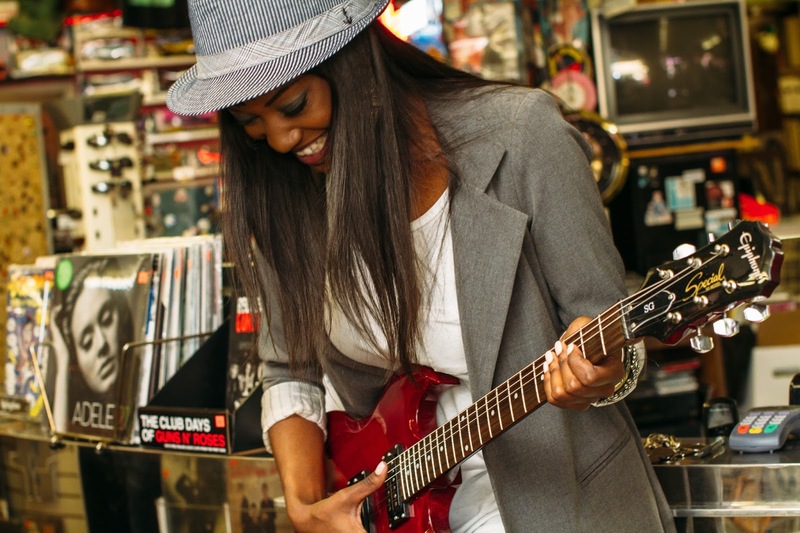 You’re going to be surprised to find how effective a few voice lessons will be for you. Don’t try to run before you can walk, however. Sounds a bit cliché, I know, but I had to throw that into this article because, sadly, this industry is riddled with artists who will want to run at the first opportunity they get, without giving it a second thought. They’re in a hurry, so to speak. But I suppose it is understandable, what with computer software readily available in recording studios nowadays, to correct pitch and auto-tune outright bad vocals. 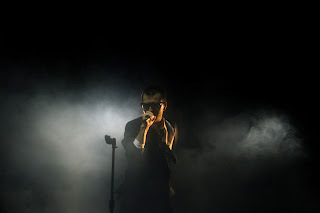 But hey, if you’re the kind of person that takes pride in actually being able to hit the notes without a little bit of help from your producer, not to mention, IF you want to be able to perform your songs live in concert, without resorting to “playbacks or prerecorded vocals”, then this will be exactly what you’re looking for. 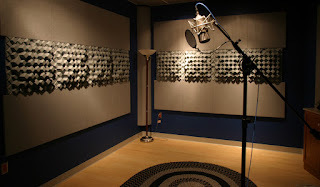 Get the training to build your vocal range for both studio recording and performance on live sets. For more information on how to get started, be sure to get in touch with me. I hope you got value from this article and learned something new. As always, you can send me any questions through the contact info in blog header. You are invited to share this page to Facebook or any other preferred social media site so that others can also benefit from this article. It will also help us spread the word of Joett Voice Studio, too. Thank you. Download Joett Vocal Drills Vol. 1-7 here! If you have wondered when we as humans began singing, then the answer to that question would be since we discovered that we had voices. That being said, a lot about singing has changed over the thousands of years that we’ve been on this planet. Different cultures around the world have evolved over the centuries with each developing their own scales and modes, and henceforth different types of music and different singing techniques emerged. Looking at this from an African perspective, the traditional African drum—which doesn’t really follow any form of scale—has over the centuries brought about the yelling and shouting style of singing that is well and truly synonymous with traditional African music. Now, when you fast forward this to the 21st century and take into account modern musical instruments coming into the picture, look around you, and you’ll find that a lot of singers on the African continent still shout, and hence—thanks to the auto-tune—many an African singer will resort to excessive pitch correction software in the recording studio… which does sound incredibly awful, to say the least. But it doesn’t have to be that way. You’re going to be amazed to discover how easy it is to re-balance your voice with specific vocal exercises; so that you’ll have the correct vocal posture that will enable you to freely experiment with different singing techniques with no pain and absolutely no strain in your voice. The more you experience the benefits of vocal training for the 21st century, the more you’ll want to stick with this. And this is where your journey with experimenting with different singing techniques should begin… only whence you have your voice in order. For the simple fact that it will be so much easier to put into practice what you learn from the different styles in popular music. I’ve seen people try to sing songs by Adele, Rihanna, Beyonce and Justine Bieber and it sounds incredibly painful. Musical styles and genres are very diverse and varied, as are the different cultures of the world. Each genre has its own unique characteristics that make it different from others, and each genre presents unique challenges for singers, but the one thing that is connected to all the genres is the human voice. South Africa’s Miriam Makeba is a shining example of an African export that truly appealed to a global audience for the quality of voice—remarkably so. 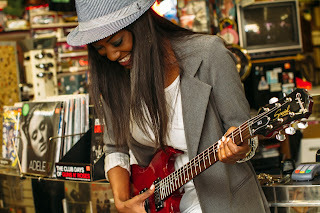 And so, you’ll want to learn how to control your vibrato without tension; experiment with different vocal sounds; and focus on improving your movement on stage and take dance lessons, if needs be, all of which will enhance your experience with different singing techniques and help you grow as a singer. For information on my online vocal coaching program, read my article Affordable Vocal Coaching on Skype for Europe and North America.